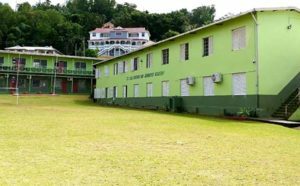 Thirty-Nine (39) Student sat this years CXC examination. According to Ms. Janice Haynes Vice Principal, “this year’s performance was far better than last year in the face of many setbacks,” teachers were dedicated and committed including students who were able to receive hands on tools, latest technology and resources. The SDA Academy remains committed to delivering academic excellence in a spiritually charged environment, where high moral, ethical and spiritual values are nurtured, embraced and respected. It continues to produce students and graduates who reflect Christ excellent character, cultivate a culture of academic rigor and give competent service to God and man in preparation for eternity. The SDA Academy was established in September 1984. It presently has an enrollment of 149 students.